Born in the suburbs of New Jersey, moved to Taipei, Taiwan in fifth grade and then returned to New York City for higher education, Dr. Woo has always enjoyed cultural diversity, meeting new people and taking on new challenges. Dr. 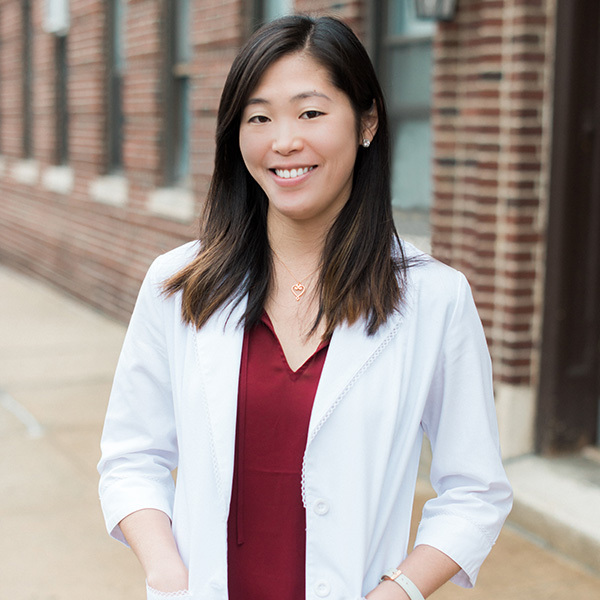 Woo studied Biology at Columbia University – Columbia College for her bachelor’s degree, and then continued at Columbia University for both her dental school and specialty training in orthodontics, earning her DDS and Masters of Science degree. Dr. Woo was selected as one of seven residents out of hundreds of applicants to the prestigious three year orthodontics program at Columbia University. She was trained in conventional straight wire, Invisalign, Damon, temporary anchorage devices (TADs), and multi-disciplinary techniques, among others. She has treated a great variety of difficult cases, including severe open bite, Class II, Class III, and surgical cases. Dr. Woo enjoys the unique patients she encounters every day and tries to find individualized and creative ways to achieve the best smiles in the most efficient way. She loves making new connections with new patients and their families and finds great satisfaction with her line of work as an orthodontist. Her patients are her utmost priority and she strives to make treatment as comfortable as possible in a friendly and fun environment. Dr. Woo is a American Board of Orthodontics certified orthodontist (please see below for explanation of Board Certification). Dr. Woo is also a member of the American Association of Orthodontics, American Dental Association, North Eastern Society of Orthodontics, and the Bronx County Dental Society. In her spare time, she loves to discover new restaurants, enjoys a good outdoor workout, and cooking up a good meal for friends and family. At Riverdale Family Orthodontics, we are strong believers in the power of teamwork. Our patients benefit from a relationship with Dr. Sam Polan of Tuckahoe Family Orthodontics. Dr. Woo and Dr. Polan are friends and partners who have five Ivy League degrees between them. Together, their expertise means patients receive the best and most comprehensive treatment available anywhere. Dr. Woo is also very proud and humbled to have been awarded the 2017 Best of the Bronx Award for orthodontic practices. Dr. Woo and her staff are dedicated to providing exceptional patient care, and the Best of the Bronx designation proves their commitment is recognized by their patients, which makes it the best recognition Dr. Woo could receive. No. All orthodontists must be licensed to practice, but at this time only 1 in 3 orthodontists have continued on to complete Board Certification. The American Board of Orthodontics (ABO) certification process signifies a unique achievement – a significant step beyond the two to three years of advanced education required for a dentist to become a specialist in orthodontics. 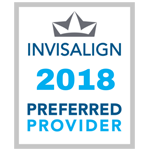 The process requires the orthodontist to demonstrate actual accomplishments in patient care with detailed case reports on the treatment provided for a broad range of patient problems. Board certification is a voluntary achievement that all orthodontists do not choose to pursue. In order to become board certified by the ABO, an individual orthodontist is thoroughly interviewed by a highly respected panel of examiners to demonstrate their orthodontic knowledge, clinical skills and judgment. Successful completion of the examination process demonstrates the orthodontist’s highest commitment to excellence in orthodontics – to both the orthodontic profession and the general public. It represents a commitment by a licensed specialist that he/she has the necessary knowledge base and skills to treat patients to the highest of standards. It exemplifies a practitioner’s commitment to continue to keep abreast of the latest advances in patient care, and to continue to deliver these lateral advances to patients. Many orthodontists see it as a demonstration of their dedication to the specialty and the highest level of personal achievement.